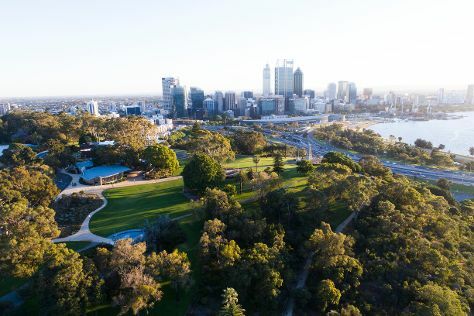 You'll find plenty of places to visit near Perth: Caversham Wildlife Park (in Whiteman) and Fremantle (Fremantle Prison & Fremantle History Walking Tour). Dedicate the 4th (Sat) to wine at some of the top wineries in the area. The adventure continues: take in nature's colorful creations at Kings Park & Botanic Garden, appreciate the history behind Kings Park War Memorial, identify plant and animal life at Lake Claremont, and contemplate the waterfront views at Swan River. To see reviews, photos, where to stay, and tourist information, read our Perth road trip planning app . Berlin, Germany to Perth is an approximately 22-hour flight. You can also do a combination of train and flight. You'll lose 7 hours traveling from Berlin to Perth due to the time zone difference. Expect a daytime high around 25°C in May, and nighttime lows around 11°C. Finish up your sightseeing early on the 7th (Tue) so you can travel to Melbourne. Take a break from Melbourne with a short trip to The Great Ocean Road in Torquay, about 1h 40 min away. Dedicate the 13th (Mon) to wine at some of the top wineries in the area. There's much more to do: take in nature's colorful creations at Royal Botanic Gardens, admire nature's wide array of creatures at Melbourne Zoo, see the interesting displays at Melbourne Museum, and contemplate the long history of Old Melbourne Gaol. To see where to stay, more things to do, other places to visit, and tourist information, use the Melbourne road trip planner . Fly from Perth to Melbourne in 6.5 hours. Alternatively, you can take a train; or drive. Traveling from Perth to Melbourne, you'll lose 2 hours due to the time zone difference. When traveling from Perth in May, plan for little chillier days in Melbourne, with highs around 20°C, while nights are about the same with lows around 9°C. Wrap up your sightseeing on the 16th (Thu) to allow time to travel to Sydney. Explore the numerous day-trip ideas around Sydney: Norman Lindsay Gallery & Museum (in Faulconbridge), Wentworth Falls (in Katoomba) and Narrabeen Lagoon State Park (in Narrabeen). Spend the 23rd (Thu) exploring nature at Sydney Harbour National Park. 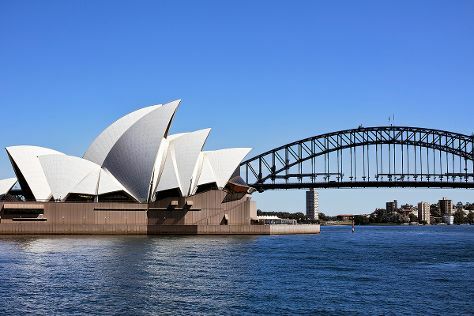 There's still lots to do: catch a live performance at Sydney Opera House, stroll through The Opera House to the Botanic Gardens Walk, take a stroll through The Rocks, and kick back and relax at Bondi Beach. To see traveler tips, maps, photos, and more tourist information, refer to the Sydney road trip tool . Traveling by flight from Melbourne to Sydney takes 3.5 hours. Alternatively, you can do a combination of shuttle and flight; or drive. In May, Sydney is somewhat warmer than Melbourne - with highs of 24°C and lows of 14°C. Cap off your sightseeing on the 25th (Sat) early enough to travel to Byron Bay. You'll find plenty of places to visit near Byron Bay: Tweed Regional Gallery & Margaret Olley Art Centre (in Murwillumbah), Watersports Guru (in Kingscliff) and Hastings Point Headland (in Hastings Point). On the 30th (Thu), give your taste buds a day to remember with a local gastronomic tour. Spend the 27th (Mon) exploring nature at Arakwal National Park. There's still lots to do: enjoy the sea views from Cape Byron Lighthouse, glide peacefully along the water with some of the best stand-up paddleboarding in the area, take in the exciting artwork at Thomgallery, and admire the natural beauty at Mullumbimby Community Gardens. To find reviews, traveler tips, ratings, and tourist information, refer to the Byron Bay online holiday planner . Traveling by combination of flight and bus from Sydney to Byron Bay takes 4.5 hours. Alternatively, you can drive; or do a combination of train and bus. In May, daily temperatures in Byron Bay can reach 27°C, while at night they dip to 12°C. Wrap up your sightseeing on the 1st (Sat) early enough to drive to Brisbane. You'll find plenty of places to visit near Brisbane: Warner Bros. Movie World (in Oxenford), Maleny Botanic Gardens & Bird World (in Maleny) and Sea World Theme Park (in Main Beach). 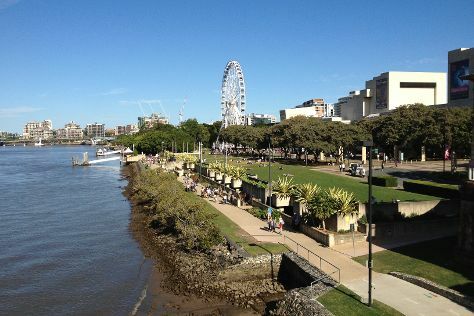 There's much more to do: walk around South Bank Parklands, contemplate the waterfront views at The Brisbane River, examine the collection at Queensland Museum & Sciencentre, and admire all the interesting features of Brisbane Botanic Gardens Mt. Coot-tha. To see traveler tips, ratings, more things to do, and tourist information, use the Brisbane trip itinerary builder tool . You can drive from Byron Bay to Brisbane in 2 hours. Other options are to take a bus; or do a combination of bus and train. In June, daily temperatures in Brisbane can reach 24°C, while at night they dip to 13°C. Cap off your sightseeing on the 8th (Sat) early enough to travel to Hamilton Island. Spend the 9th (Sun) among aquatic life with a scuba or snorkeling tour. There's much more to do: don't miss a visit to Passage Peak, head outdoors with Jetryder, view the masterpieces at Hamilton Island Art Gallery, and go for a stroll along the water at Hamilton Island Marina. For traveler tips and other tourist information, read our Hamilton Island tour itinerary website . Traveling by flight from Brisbane to Hamilton Island takes 3.5 hours. Alternatively, you can do a combination of train, bus, and ferry; or do a combination of bus and ferry. Expect somewhat warmer evenings in Hamilton Island when traveling from Brisbane in June, with lows around 22°C. Finish your sightseeing early on the 13th (Thu) to allow enough time to ride a ferry to Airlie Beach. On the 14th (Fri), spend a thrilling day on the water with a speed boat tour. Spend the 15th (Sat) among aquatic life with a scuba or snorkeling tour. There's lots more to do: zoom along the surf with a waterskiing or jet-skiing adventure, surround yourself with nature on a nature and wildlife tour, take in the pleasant sights at Bicentennial Walkway, and kick back and relax at Airlie Beach Lagoon. For photos, maps, other places to visit, and more tourist information, use the Airlie Beach road trip tool . Traveling by ferry from Hamilton Island to Airlie Beach takes an hour. In June in Airlie Beach, expect temperatures between 26°C during the day and 21°C at night. Wrap up your sightseeing on the 19th (Wed) to allow time to travel to Darwin. Venture out of the city with trips to Litchfield National Park (in Batchelor) and Helicopter Tours (in Litchfield National Park). Spend the 20th (Thu) wandering through the wild on a nature and wildlife tour. Plan for a day of cool, family-friendly fun on the 27th (Thu) at Darwin Waterfront. Next up on the itinerary: examine the collection at Museum & Art Gallery of the Northern Territory, take in the waterfront at Darwin Wharf Precinct, kick back and relax at Mindil Beach, and get some thrills on the water with a speed boat tour. For reviews, more things to do, and more tourist information, read Darwin holiday planner . You can do a combination of bus and flight from Airlie Beach to Darwin in 12.5 hours. Other options are to do a combination of ferry and flight; or drive. Expect somewhat warmer weather when traveling from Airlie Beach in June: highs in Darwin hover around 36°C, while lows dip to 24°C. Wrap up your sightseeing on the 27th (Thu) to allow time to travel back home.